I love wearing a good flannel shirt in the fall time. So I own several ones and today it is time that I style them up for you. Because while these casual shirts are a great throw on piece, they can easily be combined to look a little bit more stylish. So here’s how you can inject some boyish chic into your outfits. I love wearing flannel in different colors and this cream number is one of my favorites. Because of the neutral shade it goes with everything. 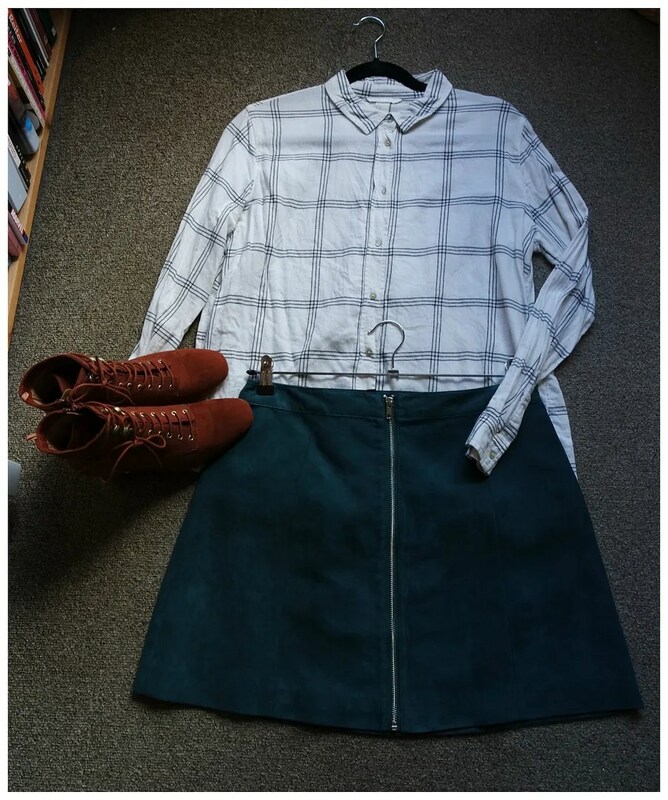 In the fall, I love pairing it with jewel tones, such as this faux suede petrol skirt. Paired with some lace up boots, it keeps the balance between girly and boyish quite nicely. Another good staple to have is a navy blue flannel. This checked number is incredibly wearable and because of the roll up detail it looks a little bit more tailored. I wore this with a pair of navy corduroy pants I have had for years, but it also works with a rich indigo jean. Throw on some Chelsea boots and you have a comfy, casual outfit for the fall time. 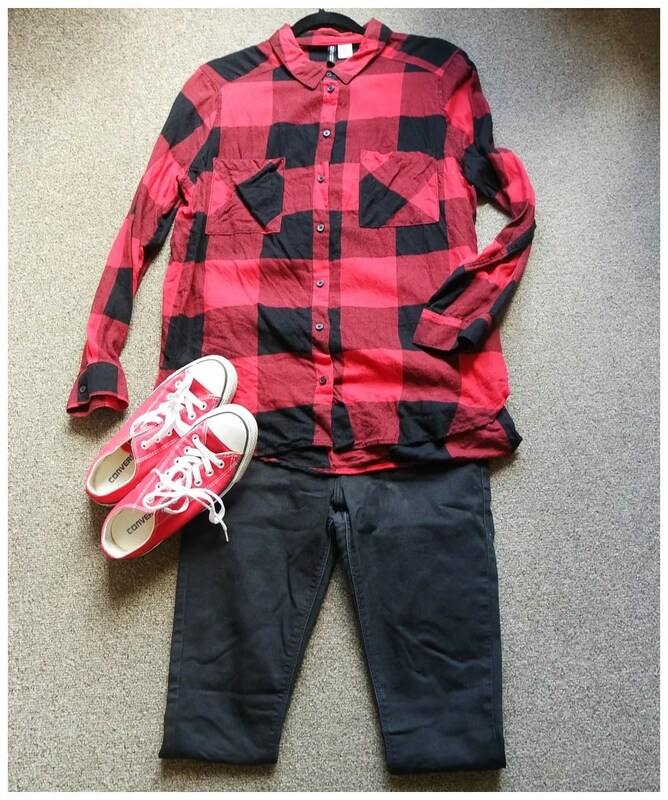 A red and black flannel shirt is a little bit more grunge and rock n roll and I like playing that up in my outfit. 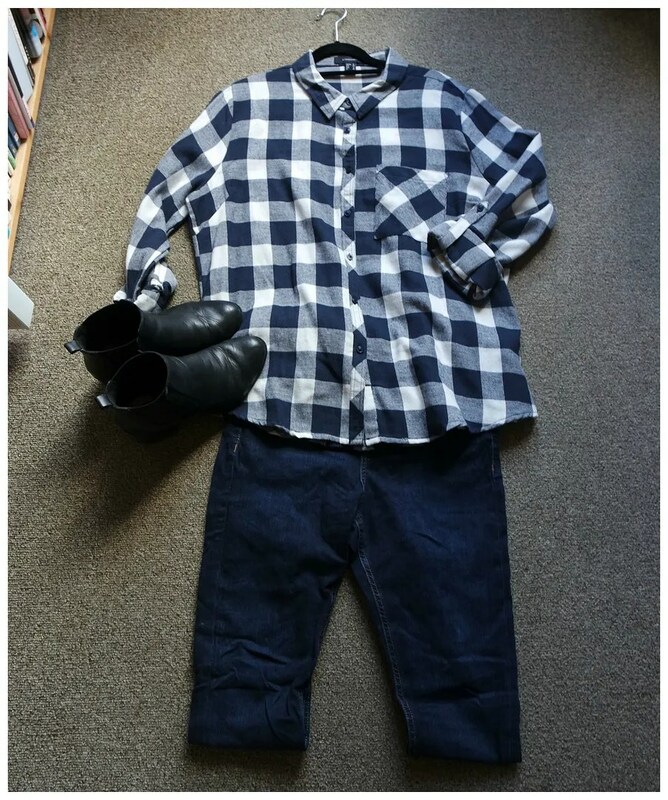 This is a great outfit to wear to a concert or festival and to me there is something very Kurt Cobain about it. I love wearing this untucked and unbuttoned with a t-shirt underneath as well. This is the best flannel shirt I own to toughen up a look. Jewel tones is where it is at the in the fall time and I love pairing several items together for a rich and colorful look. Of course you can add in a neutral like I did here, but a navy or burgundy shirt would also work in this color scheme. 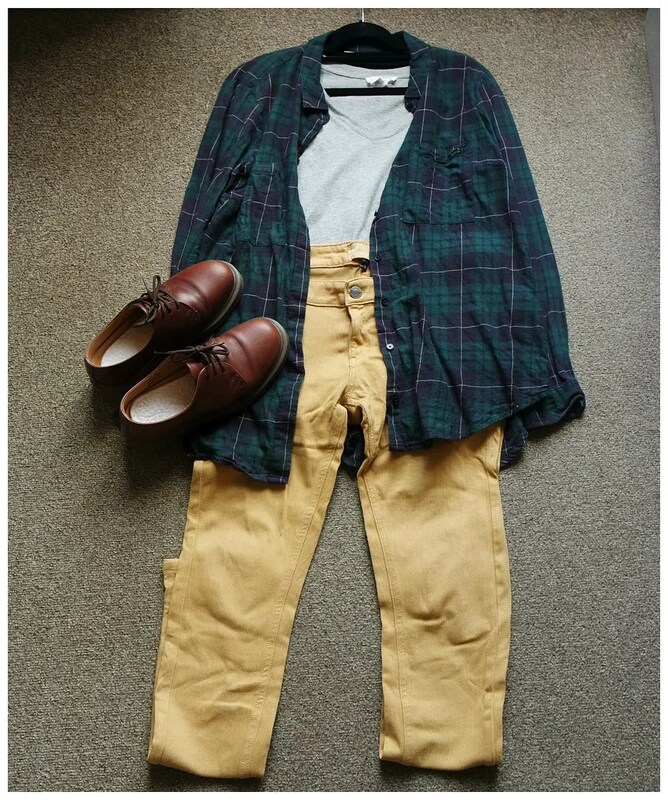 It just allows you to combine all the fall colors into one outfit. In short, it’s the best way to inject some color into your wardrobe as well. To me, there is nothing more classic than a navy and red flannel shirt. That is why I own several in this color scheme. Because this color scheme is not only the most abundant one you will find in your flannel shirt selection, it is also one that is done in many different renditions. 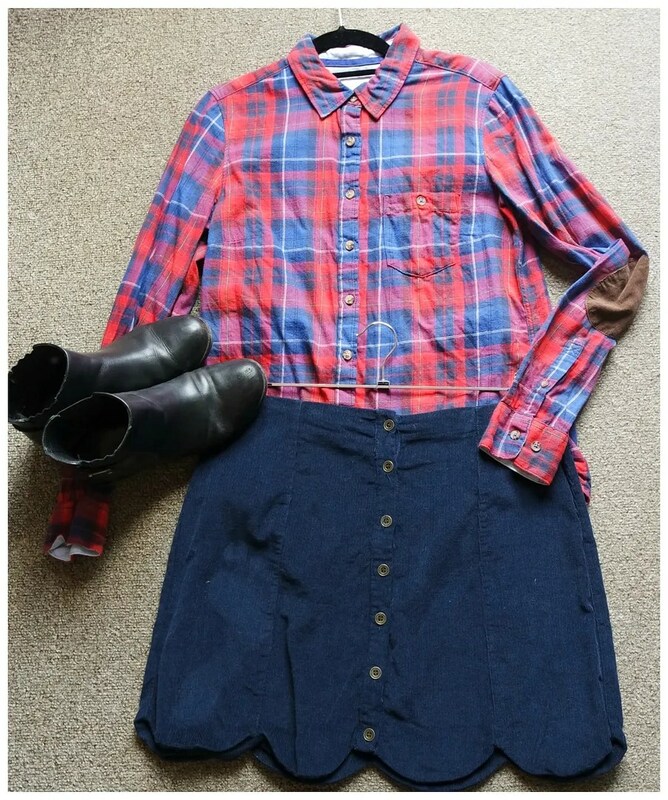 This particular one comes with elbow patches, which is why I prefer pairing it with a girly skirt and a simple bootie. How do you like to wear a flannel shirt?